Haters gonna hate; Yankees gonna Yank. Mere hours after reports surfaced that Robinson Cano had agreed to sign with the Seattle Mariners for 10 years and $240 million, the Yanks struck back with yet another flashy deal of their own. Even if New York’s acquisition of Carlos Beltran for three years and $45 million doesn’t quite approach the proportions of last Tuesday’s Jacoby Ellsbury signing (7 years, $153 million), it still qualifies as one of the splashier moves we’ve seen from this already very exciting offseason. And as if that wasn’t enough big New York baseball news for one Friday, the Mets went out and nabbed Curtis Granderson for four years and $60 million. The Beltran deal is an overpay, but the Yanks still had to do it. Was the Beltran signing a panic move for the Yankees? My buddy Lou says yes, and he’s probably right, but here’s the thing: it doesn’t really make a difference. The Yankees home attendance has been steadily declining for the past few years, and with their best player now leaving town to join the freaking MARINERS, that trend is likely to continue. New York thrives on star power, and with Cano and Granderson both exiting stage left, the Yankees have decidedly less of it than ever before. That’s why the Beltran deal makes way more sense than it should. Skill-wise, there’s no question Beltran is on the decline. FanGraph’s Dave Cameron points out that his value going into next season projects at about league-average, and that’s only going to get worse. Cameron writes that he’s “not entirely sure why they saw it necessary to pay this much for Carlos Beltran’s late-30’s” after refusing to pay for Cano’s. Here’s why: Major League Baseball is about more than sensible team-building. And that goes double for New York Yankee baseball. It’s an unfortunate reality and a hard pill for baseball purists to swallow, but the plain and simple fact of the matter is that the Yankees need to put asses in seats, and Beltran will generate way more asses than all the Nate McClouths and David Murphys of the world possibly could. The Mets front office may have defied the laws of physics by finally making a competent decision. The Curtis Granderson signing was an impressively savvy move; I didn’t think the Mets had it in them. 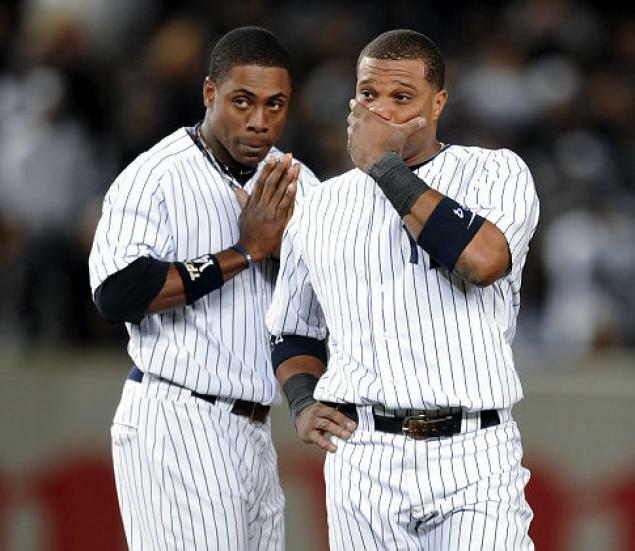 I might be biased since Granderson has been my favorite Yankee for the past several years (or at least the only Yankee I haven’t felt an abject disdain towards), and I’ve always felt like he was a little underrated despite his three all-star appearances. After an injury-plagued 2013 season, I feel like the league’s perceptions of his value dipped unfairly, and now the Mets have taken full advantage. It’s hard to characterize a guy as obviously talented as Granderson an “under-the-radar” free agent, but somehow that’s exactly what he became this offseason. A lot of critics have come out of the woodwork to hail this signing as the second coming of Jason Bay, but I just don’t see it happening that way. Despite Granderson’s slightly advanced age, he’s speedier and more athletic than Bay ever was, and I feel strangely confident that his batting average and home run totals will bounce back to their 2012 levels even without the benefit of hitting in Yankee Stadium. The bad news, of course, is that the Mets likely won’t be in a position to really contend until at least 2015 when Matt Harvey returns, and by then it’s possible that Granderson will have aged beyond his usefulness as an above average player. But even if this turns out to be the case, the Mets have structured his deal in a way that doesn’t leave the team financially hamstrung the way some of their other signings in the past have. The bottom line is that Granderson is a charming and charismatic star who we can reasonably expect will put up solid numbers during a down year or two for the boys in blue and orange. He’ll be great for the fans, he’ll be great for the culture of the team, and he won’t leave the management’s hands tied for the future. What’s not to like? …And will likely continue to stink for at least another two or three years. I mean, they should still be proud of themselves: they locked up the best player on the market and finally have a superstar at the plate to pair with King Felix on the mound. There’s no doubt in my mind that Seattle is headed in the right direction (granted, for this team there’s really nowhere to go but up). I still can’t be bothered to care. Wake me up when they break .500. This entry was posted in Baseball and tagged baseball, Carlos Beltran, Curtis Granderson, hot stove, Jacoby Ellsbury, Mariners, Mets, MLB, New York, Robinson Cano, Yankees on December 7, 2013 by jakesweltz.